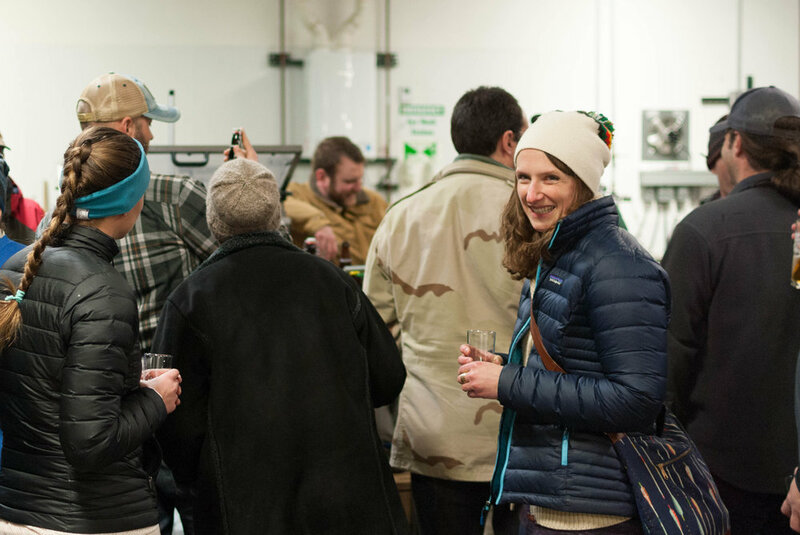 For our April Member Event, our homebrew club will get a behind-the-scenes tour of Bozeman's first meadery. Afterward, Valhalla's mead maker Dylan will walk us through a tasting of the many meads they have on tap. Note: This is a member event, which means you need to be a dues-paying member of Bridger Brew Crew to attend. Learn how to join here. We're changing things up for our May club meetup on Thursday, May 2nd! Join us in the upstairs mezzanine of Outlaw Brewing as we discuss upcoming club events including BIG BREW DAY on Saturday, May 4th! PLEASE NOTE, THIS WILL BE A HOMEBREW-FREE MEETING AS WE ARE GATHERING AT A BREWERY, SO PLEASE LEAVE YOUR HOMEBREWED LIBATIONS AT HOME THIS MONTH. There will be plenty of great beers on tap for you to enjoy, courtesy of the wonderful brewers at Outlaw. As always, monthly meetings are free and open to the public, so bring friends and family along and enjoy some great beer! This event is part of a nationwide celebration of National Homebrew Day, so what a perfect day to start the hobby! Learn about different homebrewing methods, how to get started in the hobby, and check out equipment and ingredients available at Ubrew while you're there! Club members will also be on hand to answer homebrewing-related questions. Join us to taste and judge the beers and other fermented beverages brewed for our Iron Brewer Challenge. This annual brewing challenge requires club members draw ingredients at random at our Annual Holiday Party. Homebrewers must then brew a fermented drink (e.g. beer, mead, kombucha, etc.) which highlights this ingredient while not completely overwhelming the beverage and specific style characteristics. This year's tasting will feature up to 17 different fermented drinks (a majority will likely be beer) brewed with a variety of ingredients including items like cayenne, hazelnut, mango, ginger, black truffles, and more! Iron Brewers should bring their beer or other fermented drink paired with a food dish that also features their special ingredient. For those who did not brew for the challenge, you are still welcome! Please bring your choice of food dish and some fermented drinks to share (homebrewed or commercial). This event is always a lot of fun and a great opportunity to try strange and interesting beers, meads, and kombucha! There will also be some nominal prizes for the top Iron Brewers, including the coveted Iron Brewer Trophy Mash Paddle. All are welcome! So if you brewed for Iron Brewer, but aren't a club member yet, no worries, please still come! Feel free to bring any curious friends as well! Event will be held at member Aaron Franzmann's home in Bozeman. Directions will be emailed to members via our club email list the week before the event. If you aren't on that email list, shoot us an email at info@bridgerbrewcrew.org and we'll get you the details. Our July Brew Crew Meetup will be at the East Gallatin Pavilion in the East Gallatin Recreation Area just across the pond from MAP Brewing. Join us to try members latest homebrews and learn about upcoming club events. The club has the facility for the day so if you're so inclined to spend some time fishing, canoeing, hiking, or grilling before the meeting feel free to do so. Glen Park Lake and plenty of trails await you! As always, our regular meetings are free and open to the public so feel to bring any family or friends who might also be interested in learning about the art of homebrewing! In July, we're pushing our regular club meetup back a week because of the holiday to Thursday, July 11th. We've reserved the Area Lower Group Site 01 in Hyalite Canyon for our meeting. Bring your latest homebrews and join us to learn about what's going on with the club and taste fellow members' fermented creations, all while enjoying the great outdoors. Cause what goes together better than a cold homebrewed beer and nature! We encourage members to bring their own tasting glass or cup with them to this meeting. We'll have some plastic cups if you forget yours, but, we'd like to do our best to keep waste to a minimum and keep our environment clean! Additionally, we'll have the site from 12pm Thursday thru 11am the next day so those inclined to camp, are welcome to do so! There's fishing in Hyalite Creek close by too! Let's make a night of it! From Main Street in Bozeman, travel south on 19th Avenue for 7 miles, to the paved Hyalite Canyon Road. Turn left and continue south for two miles, to the group area. As always, monthly meetings are free and open to the public, so please bring friends and/or family interested in homebrewing along too! Well-behaved dogs are also welcome to this meeting location! OUR CLUB CAMPOUT & STEINBIER BREW WILL BE JULY 12-14, 2019!!! We'll be camping at Spire Rock Campground in the Gallatin Canyon again and have reserved a group site and 2 individual sites for both Friday and Saturday nights. Please save those dates on your calendar if you plan on joining us for this yearly club camping excursion. It's always a lot of fun. More details will be released in the months ahead. Invite your brew-curious friends and family to join the homebrew club for a pint night at Bunkhouse Brewery on Tuesday, July 23rd from 4-8pm. Club members will be on hand to answer all your homebrewing questions and we'll have some fun, interactive activities happening as well. During the event, $0.50 from every pint and $2.00 from every growler fill sold will be donated back to Bridger Brew Crew to fund educational homebrewing events. For our August club meetup, we've reserved Hyalite Pavilion up in Hyalite Canyon beside the Reservoir. Bring your latest homebrews and join us to learn about what's going on with the club and taste fellow members' fermented creations, all while enjoying the great outdoors. Cause what goes together better than a cold homebrewed beer and nature! Get to brewing those spring seasonal beers and join us for our April Club Meetup at TreaT Cafe on Thursday, April 4th at 6PM! TreaT has kindly offered up their space as a private meeting venue for us to utilize for club gatherings. So, we'll be taking advantage of this opportunity during the winter months! Homebrew is welcome so please bring your latest fermented creations to share with members! An added bonus, the Gallatin Home Brew Supply will be open during our meeting. Attendees who are interested will be able to purchase ingredients and other homebrewing supply before or after the meeting. TreaT will also have a limited menu of food items available during the meeting. Join us from 4-8pm at MAP Brewing Co. for a community pint night! 50 cents from every pint sold will go to support Bridger Brew Crew, the Gallatin Valley's homebrew club. Our March Club Meetup will be at TreaT Cafe on Thursday, March 7th at 6PM! TreaT has kindly offered up their space as a private meeting venue for us to utilize for club gatherings. So, we'll be taking advantage of this opportunity during the winter months! Homebrew is welcome so please bring your latest fermented creations to share with members! Back in the fall, the club decided Porter would be the focus of our next beer brewing challenge. We’ll be tasting the beers brewed for this challenge on March 2nd at 5PM at club president Jesse’s house. Brewers who created a beer for this challenge should bring beer to share with the group as well as a food dish or snack. Those who did not brew for the challenge are also welcome! After we’ve tasted all of the entries, we’ll vote for on the top 3. Prizes will be awarded. The top winner will also gain the honor of being bestowed the club’s brew challenge mash paddle which travels between the winners of our club’s brew challenges. Details on event location will be emailed to members closer time to the event. Note: This is a member event, which means you need to be a dues-paying member to attend. Dues help pay for the ingredients for brewing and beer provided for tasting at events like this. Learn how to join here. Our February Club Meetup will be at TreaT Cafe on Thursday, February 7th at 6PM! TreaT has kindly offered up their space as a private meeting venue for us to utilize for club gatherings. Homebrew is welcome so please bring your latest fermented creations to share with members! An added bonus, the Gallatin Home Brew Supply will be open during our meeting. Attendees who are interested will be able to purchase ingredients and other homebrewing supply before or after the meeting. Join us for a special member event at the newly-opened Bar 3 BBQ and Brewing in Belgrade, MT on Saturday, Jan. 19th! Head brewer Kelly Crawford and their assistant brewer JJ will be giving us a tour of their new brewhouse. Afterward, we'll sample and discuss Bar 3's brews with the brewers. Food and pints will also be available for purchase. SUPPORT YOUR LOCAL HOMEBREW CLUB! Join Bridger Brew Crew, the Gallatin Valley's local homebrew club, for a Sunday FUNday fundraiser from 2-8PM at Bozeman Brewing Company on Sunday, January 6th, 2019. $0.50 from every pint sold will be donated to our organization to help us fund continued educational homebrewing and fermentation science events. Homebrewers, get 2019 started off right by joining the club for our January club meetup on Thursday, January 3rd in the upstairs mezzanine of Outlaw Brewing. We will discuss upcoming club events for the New Year and hold 2019 officer elections! However, there will be plenty of great beers on tap for you to enjoy, courtesy of the wonderful brewers at Outlaw. OUR ANNUAL HOLIDAY PARTY IS SATURDAY, DECEMBER 15TH AT 5PM!!! WE INVITE ALL MEMBERS AND ANYONE INTERESTED IN LEARNING MORE ABOUT THE CLUB TO ATTEND THIS EVENT. Bring a beer (or other fermented beverage) paired with a dish. Feel free to bring friends and family. ALL ARE WELCOME! We will have a Doppelbock brewed by our club in January 2018 and the Quadstein, a Belgian Quad steinbier our club brewed during the June club campout, on tap at the party! In addition, we'll be holding the drawing for our annual Iron Brewer Challenge, so start brainstorming ideas for a unique brewing ingredient! All potential ingredients submitted must be simple, singular food ingredient (e.g., hibiscus, sage, red beets, molasses, etc.). Remember, keep it friendly and be a good sport by only submitting ingredients you'd also want to brew with yourself! Club President, Jesse Bussard, will be hosting this year. Directions to the event location will be emailed to members closer time to the event. We hope to see you there! PLEASE RSVP USING THE FORM BELOW SO OUR HOST KNOWS HOW MANY GUESTS TO EXPECT. Club member, Jared Frasier, will be hosting our club's first-ever Wild Game and Beer Pairing Dinner at his home in Manhattan, MT on Friday, Nov. 16th starting at 5PM. Members are encouraged to bring a wild game food dish paired with a fermented beverage. Location details will be emailed out closer time to the event. Unsure you've got something to bring to this event? You don't have to have harvested the wild game yourself! It could be meat a friend harvested and gave to you too! Wild-caught fish also works! For those non-hunters in the group, Jared has also offered to supply wild game for you to prepare your own dish! Feel free to contact him at backpackfrasiers@gmail.com if you're interested in taking him up on his offer. Note: Not everyone is required to bring a wild game dish. We'll also need side dishes and snacky food items as well! WONDERING WHY THAT BATCH OF BEER WENT BAD? HAVE YOU EVER HAD TO DUMP A HOMEBREW BECAUSE IT TASTED LIKE SWILL? NO CLUE WHAT WENT WRONG? WELL, HAVE NO FEAR. BRIDGER BREW CREW IS HERE TO HELP! Join us for a sensory analysis experience of 6 of the most common off-flavors which occur in beer brewing. We will discuss causes and possible solutions to prevent these off flavors from occurring. Location info for the event will be emailed out to members closer time to the event. ADMISSION IS FREE FOR DUES-PAYING MEMBERS. $10 FOR NON-MEMBERS. LEARN HOW TO JOIN HERE! IF YOU PLAN TO ATTEND, PLEASE RSVP USING THE FORM BELOW. CHEERS! THIS WILL HELP US MAKE SURE WE HAVE ENOUGH BEER ON HAND TO GO AROUND! Our November club meetup will take place at Montana Malters/Big Sky Malts production facility in the Bruce Industrial Park in Belgrade. Montana Malters is a producer of small-scale malting equipment, speciality malts, and more. After the business portion of our meeting, owners Dr. Tom Blake and his wife, Victoria, will give us a tour of their malting facility and talk about some of the experimental maltings they've been doing lately. Members are encouraged to bring homebrew to share! As always, our public meetings are open to everyone. Feel free to invite friends and family who may be interested in homebrewing. More info on our hosts can be found at www.westernfeedstocktechnologies.com. THIS EVENT HAS BEEN RESCHEDULED TO OCTOBER 20TH!!!! New event location info: Club President, Jesse Bussard, will be hosting the rescheduled tasting at her home at 134 Teita Drive, Bozeman, MT. Members who participate in this challenge must have brewed a fermented beverage containing at least 1 foraged ingredient. All members are welcome to join us for the tasting! Prizes, including some bags of 2-row pale malt from Gallatin Valley Malt Co., will be awarded to the winners of this challenge! Members are asked to bring a food dish to share! Other non-challenge beers and fermented beverages are welcome as well. Please save the date. We will be emailing out location info closer time to the event. Hope to see you there. If planning to attend, please RSVP using the form below so our host knows how many people to expect. Homebrewers, join us for our October club meetup on Thursday, October 6th in the upstairs mezzanine of Outlaw Brewing. We will discuss upcoming club events and pick our next brew challenge. Afterward, Outlaw's brewers will give us a tour of their production facility! Similar to Rocktoberfest last year, we’ll be doing another German beer & food pairing event to celebrate Oktoberfest this year! Members are asked to bring a German beer, either homebrewed or commercial, paired with a German food dish! The celebration will be hosted at Member at Large Aaron Franzmann’s house. Directions to the event location will be sent out via email to club members closer time to the event. Summer is almost over, but that's ok. We've got homebrew and good friends to tide us over into the fall! Our September club meeting will be held at Elizabeth Olson's house. Elizabeth is a big supporter of our club and we're thankful she is letting us host a club meeting at her abode. We'll be discussing upcoming exciting new projects and activities with the club. After the business portion of the meeting, we'll sample each other's latest homebrews! NOTE: As always, monthly meetings are free and open to the public, so please bring brew-curious friends and family along and enjoy some great beer from our peers. We just ask you be respectful of our host and their property as we are meeting at a private residence and not a public space. Our club will tour Bozeman’s water treatment plant to learn about water chemistry and how our city’s water is treated with Jac Miller. Afterward, we will reconvene at member Andrew Kestly’s house for a post-tour cookout! Location details for the cookout will be sent out to members via email. Invite your brew-curious friends and family to join the Bridger Brew Crew, the Gallatin Valley's homebrew club, for a pint night at Bunkhouse Brewery on Tuesday, August 14th from 5-8pm. Club members will be on hand to answer all your homebrewing questions and we'll have some fun, interactive activities happening as well. During the event, $0.50 from every pint and $2.00 from every growler fill sold will go back to Bridger Brew Crew to fund educational homebrewing events. For our August meetup, our homebrew club will be visiting local Bozeman hop grower, Crooked Yard Hops. We'll kick the meeting off with a short discussion and then the Crooked Yard crew will teach us about what goes into growing this vital beer ingredient as well as take us on a tour of one of their hops fields. Afterward, stick around to try members' latest homebrews and talk with other zymurgists and hop enthusiasts! NOTE: As always, our regular meetings are free and open to the public so feel to bring any family or friends who might also be interested in learning about the art of homebrewing! We just ask you be respectful of our host and their property as we are meeting at a private property and not a public space. OUR CLUB CAMPOUT WILL BE JUN. 28TH - JULY 1ST!!! Our annual Club Campout & Steinbier Brew Day will be the weekend of June 29th thru July 1st. We've reserved a group site plus one extra campsite for 2 nights at the Spire Rock Campground in the Gallatin Canyon near Big Sky, MT. Like last year, we'll once again put our brewing skills to the ultimate test at camp by brewing a steinbier! Join us to learn about this ancient brewing method and a weekend enjoying the great outdoors! For those of you bringing your family or significant other, there are also plenty of trails in the area and fishing to be had. Saturday night we'll also host a group meal with homemade chili. Those attending are asked to please bring a side to share for the meal. Members will be responsible for their own food and beverage needs for the rest of the campout. Everyone is also encouraged to bring homebrew and other fermented beverages to share. IF YOU PLAN ON ATTENDING, PLEASE RSVP BY FILLING OUT THE FORM BELOW! Big Brew Day - Learn to Homebrew! Bridger Brew Crew, the Gallatin Valley's homebrew club, will host live homebrewing demos of all-grain and extract beer brewing, as well as mead brewing throughout the day at Bozeman's local homebrew supply shop, Ubrew at Planet Natural! This is part of a nationwide celebration of National Homebrew Day, so what a perfect day to start the hobby! Learn about different homebrewing methods, how to get started in the hobby, and check out equipment and ingredients available at Ubrew while you're there! Club members will also be on hand to answer homebrewing-related questions. This year's tasting will feature approximately 21 different fermented drinks (a majority will likely be beer) brewed with a variety of ingredients including items like horseradish, Thai basil, chamomile, carrots, mushrooms, Jalapeno, and more! Event will be held at members Keith and Lorene Castleberry's home in Springhill. Directions will be emailed to members via our club email list the week before the event. See you there! Cheers! Please RSVP so our hosts know how many guests to expect. Brew Crew, after a 6 month hiatus our April meetup is at Madison River Brewing on Thursday, April 5th! Join us to taste the latest offerings on tap at Maddy River and sample some of our member's latest homebrewed creations! As always, monthly meetings are free and open to the public, so please bring friends and family along and enjoy some great beer from our peers. We'll be taking a club field trip to Livingston on St. Patrick's Day to visit and tour both of the town's breweries. We will meet at the Walmart parking lot in Bozeman around 10:30am and carpool to Livingston from there. Our tour will start at Neptune's Brewery (119 N L St, Livingston) around 11am with lunch and beers followed by a tour with their brewer, Jacob Robison. Around 2:30pm, we will then head to Katabatic Brewing Co. (117 W Park St, Livingston) to meet with their owner, Brice Jones, and brewer for a tour and beer tasting there. Lunch and your beers will be your own responsibility. Giving a few dollars to help cover gas if you're riding along with someone would be appreciated too. If you're down to drive for our carpool, please email the club at info@bridgerbrewcrew.org or let Jesse or Bruce know at the next club meetup. Cheers, Brew Crew! Our March meeting will return to MAP Brewing Company. Join us on March 1st at 6pm for our regular monthly meeting and to taste members' latest homebrews. We'll be reviewing the Club's February activities as well as upcoming exciting new projects and activities. After the business portion of the meeting, we'll sample each others latest concoctions and, of course, also available will be the latest offerings from MAP's excellent brewing team. A fine Doppelbock is well worth the wait. This is going to be an exciting and informative, as well as, marathon event. We'll be brewing a "Doppelbock" for our February club event using Pilsner malt donated by Bridger Malt House. We'll be starting early with the complex mash process, known as a decoction mash, and continuing through sparge, boil, and finally, pitching yeast. This means it will be a long brew day and all paid club members are encouraged to attend. Please plan on bringing a snack and beverage to share. It will take approximately 12 hours to complete the process and no one is expected to spend the whole day but are urged to participate in as much as you desire. A proper Doppelbock wants a long lagering time so we are planning on having this one ready for the next Bridger Brew Crew Holiday party in December 2018. We'll also have a few commercial examples of Doppelbock on hand to taste so we can learn more about this unique beer style. Exciting news, Brew Crew! Our February meeting will be held at Bozeman's newest brewery, Mountains Walking Brewery. Join us on February 1st at 6pm for our regular monthly meeting and to taste members' latest homebrews. After the business portion of the meeting, we'll hear from the Mountains Walking team about their brewery and get a tour of their facility. As usual, our meeting will be held in the back of the brewery. If you're bringing homebrew to share, please come in the garage door entrance near the southwest corner of the building. If you're not bringing any homebrew, feel free to grab a beer in the tasting room and then meet us in the back. It's winter, which also means it's prime porter and stout season! Join us to taste the variety of porters and stouts our members brewed for our Winter Brew Challenge! There will be some nominal prizes for the top beers! Along with tasting members' homebrews, we ask all those attending to bring a food dish or snack to share. Our host, Jason Henkle, will also be making donuts. Because what pairs better with a dark, roasty stout than donuts!!! If you didn't brew a beer for the challenge, you're still welcome to come. Feel free to bring your favorite porter or stout to share in lieu of homebrew! Address for event location will be emailed to members closer time to the event. Note: This is a member event, which means you need to be a dues paying member to attend. Dues help pay for the ingredients for brewing and beer provided for tasting at events like this. Learn how to join here. Please RSVP so our host knows how many people to expect.